For accounting student Emma Ashworth, choosing a charity to fundraise for as part of her course was one of this year’s easiest uni tasks. It had to be Righteous Pups. The Bendigo-based not-for-profit group trains assistance dogs for at-risk teens and children with autism. Emma is one of a group of accounting students to join their Bundoora counterparts in the fundraising challenge. The La Trobe Business School will kick in an extra $500 for the group that raises the most for its chosen charity. 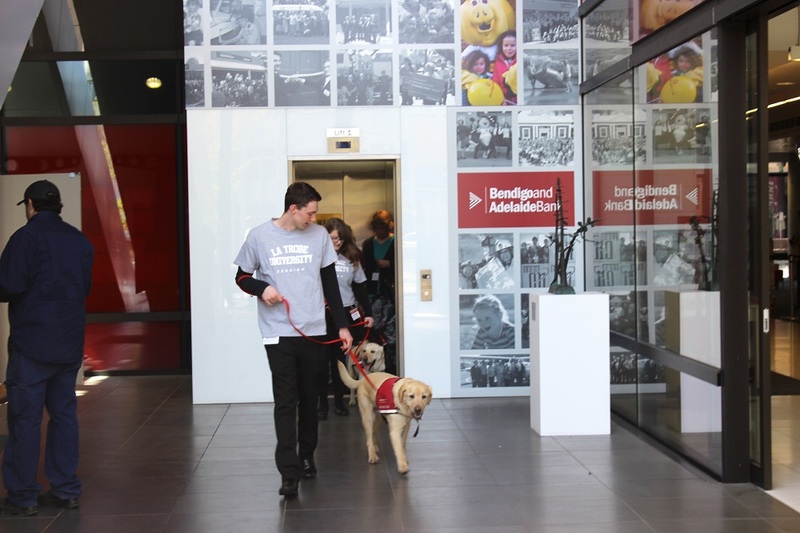 The students took their efforts off campus this week for an event at the Bendigo and Adelaide Bank headquarters. As well as chocolate and raffle ticket sales, the students helped host tours of the bank building with Righteous Pups Labradors. 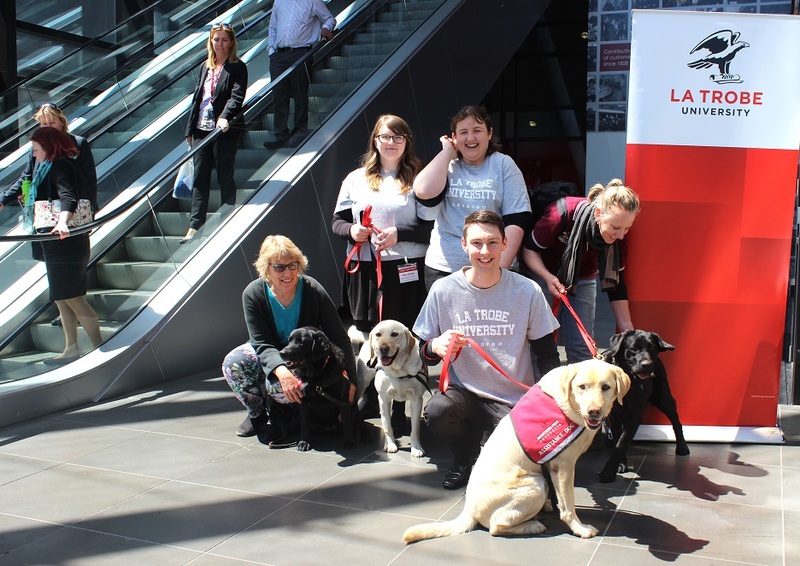 The dogs provided some much-loved puppy therapy for bank staff, plus prompted plenty of loose change donations. Accounting lecturer Kate Ashman was also on hand to help. “This group of accounting majors have demonstrated a level of commitment and passion to a voluntary program which has been a credit to themselves,” Kate says. Kate says the project has connected students to many local businesses, including RSD Chartered Accounting, which gave them some professional advice to help the cause. Accounting student Michael Martin and new mate Fergus. Brilliant work. Congratulations to all involved in such a worthwhile cause.